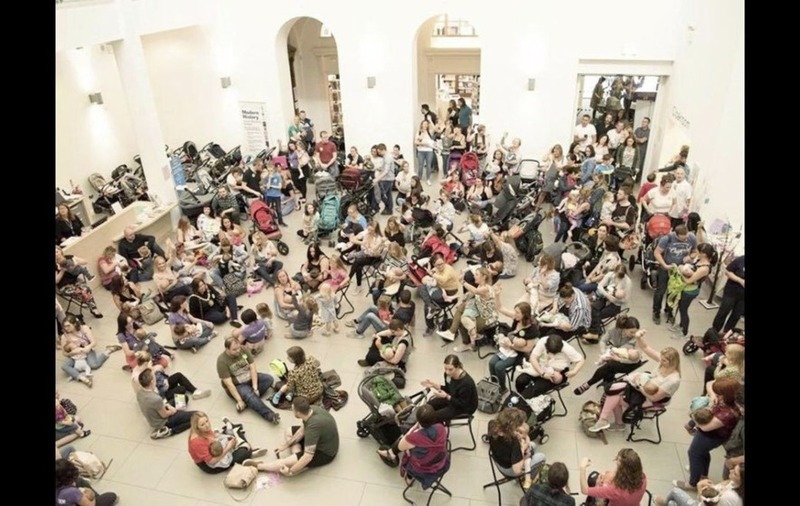 Over 100 new mums gathered at the Ulster Museum at the weekend for, Breastival Belfast to celebrate world breastfeeding week and hear politicians pledge support for new legislation. A Politics of Milk panel discussion at Breastival heard from a cross party panel of politicians from all six main parties in Northern Ireland, chaired by the outgoing Director of the Royal College of Midwives, Breedagh Hughes. Politicians all agreed with the need for legislation to protect and promote breastfeeding in Northern Ireland should the assembly be restored. Clare Bailey MLA for the Green Party said, “I think that is something that we need to get to grips with”. Michelle Gildernew MP for Sinn Féin in Fermanagh and South Tyrone said whoever the next Health Minister will be “they will be lobbied by myself and others on this panel to bring in the legislation and make sure that it is tough and robust and ensure that our children and our mums are getting all the health protections that they need as a result of breastfeeding”. DUP MP, Emma Little Pengelly distanced herself from negative comments made by party colleague Sammy Wilson who previously described women who want to breastfeed in the House of Commons as “exhibitionists”. “While I know there has been some comments from my colleague Sammy Wilson MP, the party did come out very quickly afterwards to make clear that this was a personal view and not a party position”. “It is unfortunate that it is those comments that tend to get the media coverage and people think they know the party position but it isn’t the party position and we are very supportive of breastfeeding”. Claire Hanna SDLP MLA, talked about her personal breastfeeding experience with her three children, the support she received from her family but also the challenges she had as a breastfeeding mum. Ulster Unionist Roy Beggs MLA, who is involved with his local Sure Start said; “This is an important issue for dads and partners. It is also important that people know about the difference between breastmilk and formula and there needs to be education in schools”.